FULL MOON Super Moon in Capricorn is here and this one promises to be potent and revelatory. With the Sun in Cancer, the archetype of the Mother, and the Moon in Capricorn, the archetype of the Father, the sacred balance and dynamism of the two becomes illuminated. Take time to ground and reflect as the energy as of late has been emotional and streamed with karmic reflections. Illumination brings revelation but we must then have the courage to address so we can complete the karmic lesson and move more lightly into our future. Energy will shift next week, but for now must tend to the present and what is being illuminated! “In pure Capricorn fashion, these aren’t light-hearted questions, but they are ones whose answers can provide us with the riches of insight to live a more integrated and productive life. “What’s also highlighted during this Full Moon is the importance of maintaining a balanced sense of perspective. Cancer inspires us to both feel as well as value our feelings. It has flowing, soft, and undulating energy. “Capricorn, on the other hand, is not focused on feelings but rather on diligent and responsible approaches to accomplishing tangible outcomes. The question becomes how the nurturer (Cancer) and the achiever (Capricorn) can co-exist. “One way it can be done is that instead of wallowing in our emotions, we take a serious look at them, inventorying what they may be revealing. Once insights are gleaned, see what practical ways you take action to structure facets of your life so that they will further nourish you. “…The angles to the luminaries (Sun and Moon) foretell a mortal struggle to persevere through the crisis of growth…There’s agitating pressure from all sides. And huge rewards and leaps if you dig down deep, and find hidden reserves of strength. “Your character is fortified by creatively adapting to the demands of the times. Full Moons are revelatory — what will be revealed? “By being alert and active in the current ordeals of your life, there’s light at the end of the Full Moon tunnel. The Capricorn Moon is imbued with Pluto’s near-supernatural knowing, for potential clear seeing into the shadowy terrain. “What’s standing out here, is that it’s one to lift out buried treasures within. And to unlock hidden pockets of pure creativity and vitality. “This year began with a New Moon tightly conjunct Pluto, square Mars and Uranus. That was a harsh chart. It all but guaranteed a year in which skeletons tumbled out of closets and ulterior motives and ruthless ambitions were released into the general population like a rapidly mutating virus. A series of frustrating retrograde planets in the first half of the year ensured we would have to work very hard, against incredible odds, to accomplish the smallest things; even harder to nudge the dial monitoring our soul’s growth even one point into the black. “Change or be changed is the message of the hour. Capricorns know this better than anyone. Just ask one. “The Sun is in Cancer. Cancer rules your emotional, needs. It is the feminine principal of receptivity and compassion. Capricorn rules your ambition and success in the world. It will take a great deal of presence, neutrality, and allowing to embrace the challenging realignment of energies that we are transitioning through on the micro and macro levels. “Much of these lessons will come through the experiences we create for ourselves to learn to balance the Masculine and Feminine influences in our lives. We are forgiving what has gone before and letting it go. Easily said, but a Big piece of our current spiritual work. “…Under the Full Moon in Capricorn, many things may be highlighted and you may see the tangible area or areas which need the care, comfort and adjustment. The Full Moon in Capricorn’s potential is achieving long-term emotional mastery, and tangible results that are of the highest quality. “Perhaps this will inspire you to make a more grounded commitment for lasting change and therefore have realistic expectations of incorporating new habits and ways that are loving, healthy and are full of integrity. “Patience is essential now to handle or manage any emotional waves that are arising. The issue(s) is there to bring important insight and awareness. Be responsible for your emotions rather than projecting them onto others. They are not responsible for your happiness — you are. “Step by step the goal is accomplished. With the Full Moon in Capricorn, it is imperative to learn to mature emotional responses and be responsible for one’s own emotional well-being and life. This may bring up opportunity to re-organize things including daily schedule, and how much time you give to care for your emotional well-being in a practical way. “The overall forecast is for firming up resolve, and growing in your personal authenticity. In a time of flabby integrity, the one that is determined to live their value, knows true personal power ” and not ” knows true Capricorn’s ruler Saturn…” :) it may be the same but still those are two sentences in that report :) the one that actually starts with “capricorn’s ruler saturn ” is the next sentence and goes like this “Capricorn’s ruler Saturn looms large in the Capricorn Full Moon chart with a trine to the Sun (Cancer). And there’s a close-enough bouncing off to Jupiter, also in Cancer. All this hints at a cosmic conspiracy, to firm up your emotional authenticity factor, as a way of moving forward. Yes it was a mistake. Thank you, I adjusted it! Jeg håper det går bedre med deg snart. Ta deg tid til å ta vare på dine behov også, hjelper det virkelig. Thank you so much for this valuable information. It is a great help. Namaste xxxx so much love. this is so exciting and helpful. Get back to the self and grow and change. much love. HOUSE OF THE MOTHER, SIGN OF THE FATHER. And Jupiter in cancer 10th brought me five dream jobs and the love of my life. Hope it’s the same for y’all, if not, it will be soon. Unless you are sag…. Sag, meaning Sagittarius? If so you hit that one on the head! why sag?! I want 5 dream jobs and the love of my life! I’m due on july 26th but feel babygirl may come on this full moon. Sounds like either way her arrival fits the cosmic lineup. Namaste!! Thank you. Gratitude for being witness in this life at this epic time of our planet. Gratitude for MM for making all this information available to us. Always so perfect, always right on. Loving it all, even though it has been a brutal journey. It is time I will treasure. A time of amazing beauty. Learning my way with grace, and this sight is part of it. I can definitely feel the natural energies intensifying, as the super moon enters my sign, I am using this time to meditate, & organise my thoughts and emotions, thanks for all the valuable insight. Soak up the moonbeams everyone. Lovely composition. Thank you. Love, healing and transition to me and everyone else! I was born with the sun and moon in my first house! No wonder I have a headache tonight. I too am a cancer moon in Gemini have just been tossed from a 5 year relationship and sudden move without job or car ..but now I see its was all for the better the universe guides us all if only all would listen! I will be celebrating my birthday on this super full moon. Tomorrow will be magical, I can feel the energy already. Moon blessings! Happy Birthday and great writings and thoughts to ponder on. I will spend time looking deep within listening to the answers I am given to move on and grow. 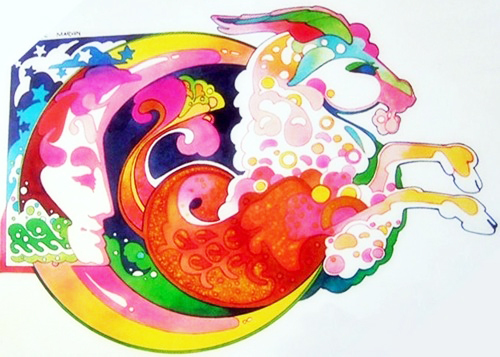 I have Capricorn in my Midheaven – and ALL of these forecasts are AMAZINGLY bang on for me! LETTING GO of a toxic friend who has proven untrustworthy, oh my! and deceiving, lying, stealing..and on it goes! I bring it to light, She denies, She clings, I Release her in love & Light! She clings! I bring in prayer to God and AA Michael (who visited me in my dream last night)! …and today…I have a Peace I haven’t known all week. Saturn in Scorpio has been in close quincunx with Uranus; I would say activating an anxiety of constraint to be free to move forward and say good-by to old emotional karma that holds back ambitions. Saturn will be going direct on July 18th just about when Uranus is going retrograde–as they separate that hold Saturn has on Uranus independence in Aries will surely dissolve . . I hope so! . . Thank You Mystic Mama for your wonderful full moon blog. I feel the pull of the moon taking me inward, I feel excited because I know the universe has my back. This moon I am alone, when normally I am with others, I have been given space to unwind, look and have perspective. To see whats ahead, but also to be present and at home with myself. cancer is sign of the home as well, I feel like being home, in a nurturing place more this weekend, I have barely left home- like a womb, we will emerge in time.